Some of you may remember about 4 years ago, we opened a second shop in Brookmans Park (that's in Hertfordshire). It was called Tuffet's Toys and Tales and it was a gorgeous kids book and toyshop. LOOK HOW PRETTY IT WAS. Well, despite our best efforts it simply didn't generate enough customers and we're sadly going to be closing it. 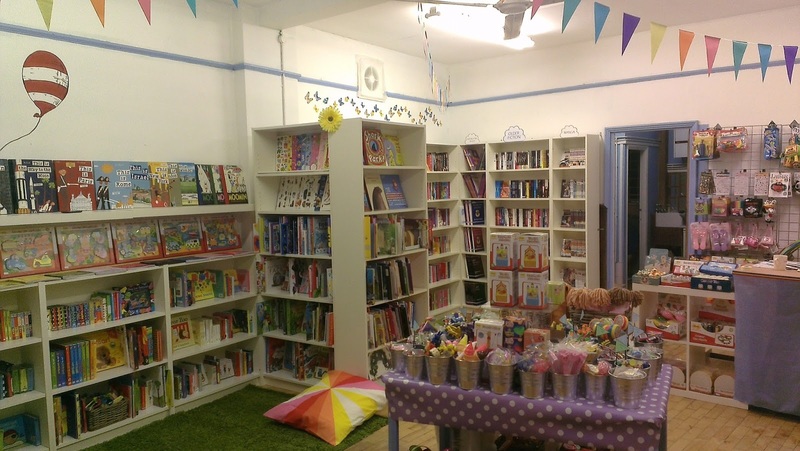 Brookmans Park is a great village and we'd hoped to emulate the kind of thing we do here in Wood Green, but the amount of energy we needed to put into it, meant that we weren't able to put as much energy into The Big Green Bookshop. That, in turn meant that sales in The Big Green Bookshop started to get seriously affected. 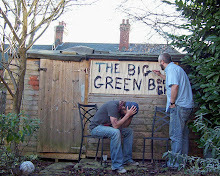 So, we are biting the bullet so that we can focus EVERYTHING on The Big Green Bookshop again. It's all very sad, as initially we were so excited about the new shop. It doesn't look quite so pretty now, does it? We've moved all the stock, and fixtures and fittings into one of those self storage buildings (thanks to @markymarket for helping us do this) and we plan to spend the next 2 weeks going through it all and keeping all the best stuff. This is a temporary fix, as these storage spaces aren't cheap and we're skint. So, of course we have the obligatory favour to ask. Does anyone near Wood Green have any spare garage space that we could borrow for a month or two? 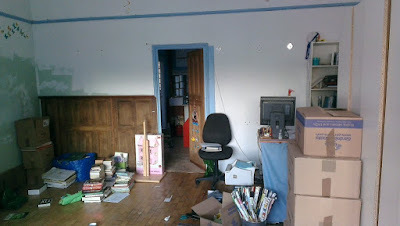 It won't be for loads of stuff, just 4 or 5 bookcases and about 20 boxes of books I reckon. If you do, could you give us a bell 020 8881 6767 or email enquiries@biggreenbookshop.com. Don't do this to me! I read the headline and almost had a heart attack thinking you meant the bookshop. Sorry to hear about your shop, it did look beautiful. That's a sad news. Hope you will open a new store soon. Best of luck!